Competition in the living room continues to heat up, with game maker Valve revealing its plans to support multiple set-top box devices for playing games and streaming content. The Project Piston Valve Box was unveiled at CES this week. Photo via Polygon. Valve CEO Gabe Newell spoke with The Verge at CES this week about his company's plans for its forthcoming "Steam Box" gaming hardware. In addition to making its own Steam Box, Valve will also partner with third-party hardware makers to design their own devices. Valve's own Steam Box will run the open-source Linux operating system, though users will be able to install other platforms, like Microsoft's Windows, if they so choose. It will also come with a controller that Newell said will have "higher precision and lower latency." The Steam Box will also support services like Netflix, and can be used as a traditional PC to browse the Web. Valve's upcoming push into the living room will place it in an already crowded market vying for space in users' entertainment centers. Among those options is the Apple TV, a $99 accessory that streams iTunes media and allows users to play and mirror content from their iOS device to their television set. With a variety of third-party hardware makers, Steam Boxes are expected to come in a range of prices, with varying functions and horsepower options. 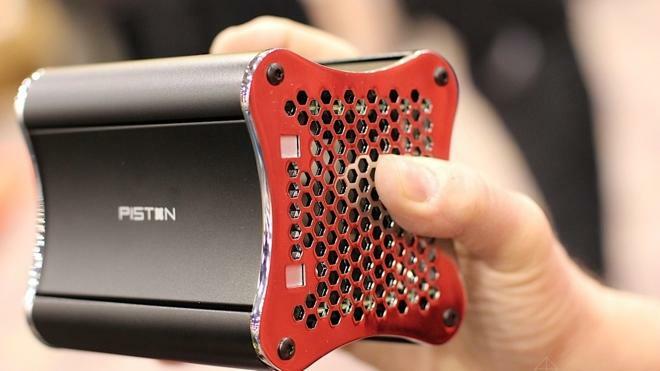 Among those options is Project Piston, a tiny game playing device that was shown off this week by hardware partner Xi3. Newell also spoke about controller methods and gave his thoughts using multi-touch devices, like Apple's iPad, for gaming. The Valve CEO said one of the controller concepts his company has designed features a touchpad, but he wants to ensure that its inclusion is "useful." "We don't want to waste people's money by just throwing in a touchpad," he told The Verge. "Once we understand what the role is of multitouch in these kind of applications, then it's easy to say you can use your phone for it." Newell largely panned motion-controlled games popularized by Nintendo's Wii and Microsoft's Kinect, saying he's "unconvinced" they are proper input methods. He's instead intrigued by biometrics and gaze tracking, which can track input information that users aren't necessarily aware of to enhance gameplay.